Blessed! It’s the only way to describe a career accelerated by music icons Quincy Jones, Stevie Wonder, David Foster, Jimmy Jam and Terrie Lewis and Alan and Marilyn Bergman. 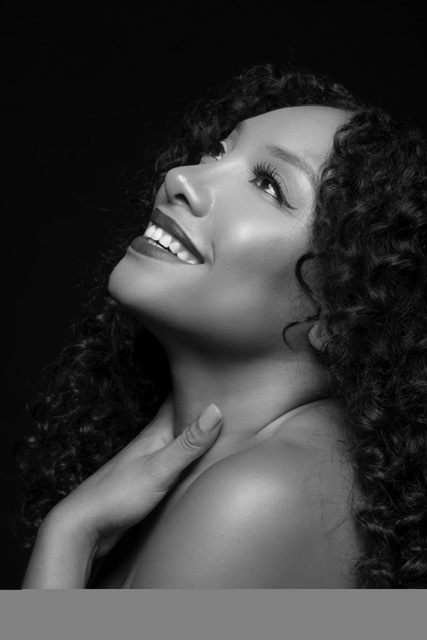 Many in the entertainment industry describe their rise as a slow crawl, but vocalist, songwriter, pianist, arranger and producer Sheléa Frazier, who goes by the solo moniker Sheléa, caught both attention and admiration at the top, quickly. Earlier this month, in advance of her sophomore album Pretty World, which dropped March 8, the Public Broadcasting Service (PBS) launched Quincy Jones Presents: Sheléa, a full-on performance at The Majestic Downtown In Los Angeles, with special guests David Foster and Greg Phillinganes. When we talked two weeks ago it became clear why her blessings flow. In addition to a fantastic instrument and wicked piano skills, Sheléa is full of joy, enthusiasm and charm. This California girl, raised in Bakersfield—home of the Bakersfield sound, a mid-century genre of country music—began expressing her gift long before adolescence. According to her parents, she could expertly repeat a note at 11 months old and was harmonizing by the age of three. As for her own musical memories, Sheléa recalls watching Mr. Rogers’ Neighborhood and wondering who was playing the piano, and enjoying singers on other children’s programs, such as Patti LaBelle’s performance on Sesame Street. Her mom plays piano and sings, and Sheléa followed suit, starting piano lessons and singing in church at age seven. “I thought this was the extent of where my musical gift would live,” she shared. Then the universal chorus sang, “not just yet,” as Sheléa entered the halls of Oakwood University, an HBCU in Huntsville, Alabama, and the alma mater of vocalists Brian Mcknight, Little Richard and Take 6, as well as actors Phillip Michael Thomas and Clifton Davis. There she majored in music with an emphasis on piano, found herself in Forgiven, a four-girl gospel group, and her first immersion into the music industry. The young vocalists never made it to a label deal, but the considerable amount of time in the studio revealed to Sheléa music was where she belonged. “The bug bit me hard,” she said. And from there the whirlwind began. Jimmy Jam and Terrie Lewis brought her into their Flyte Tyme production company as an in-house songwriter. Stevie Wonder took her to the White House to perform in honor of legendary composers Burt Bacharach and Hal David, and on his Songs In the Key of Life tour. Music director Ricky Minor brought her to the Kennedy Center to perform in a tribute to dancer Carmen de Lavallade, and back to the White House to perform with Anthony Hamilton in honor of Ray Charles. Quincy Jones invited her to a residency at his Q’s Bar & Lounge at the Palazzo Versace Dubai. David Foster featured her on projects in the states, Asia and Budapest; and then, legendary songwriters, Alan and Marilyn Bergman, collaborated with her for a tribute album. Clearly, Sheléa’s career was soaring and the good good kept coming. But we digressed for a few to talk about her, her desires and what’s next. I started by posing a question I often ask. Who do you have to be to be you? As a musician, whom does your ear take to? What do you wish to do musically that you haven’t done? What is the greatest irony of your career? Is there anything you want to share I haven’t asked? Sheléa penned and produced two songs for Chanté Moore. She lent her voice to film projects for Hotel Rwanda, Jumping the Broom, Akeelah and the Bee, Sharks Tale, Be Cool, Fantasia and The Will and Grace Soundtrack. Her own composition, “Can’t Play it Cool With You” was featured in an episode of the CW superhero show Black Lightning. Following numerous collaborations and film projects Sheléa released her debut, Love Fell on Me. The 14-song album enjoyed enormous domestic and international aiplay and featured appearances from Brian McKnight and Stevie Wonder, and production, arrangement and writing by Narada Michael Walden. “I’ll Never Let You Go,” a single from the album, charted for more than 22 weeks on Billboard’s R&B charts and peaked at #22. Now, Sheléa’s sophomore offering, Pretty World, is here. She describes it as a love letter to Alan and Marilyn Bergman, who have entrusted her with songs they’ve penned, some never released. Pretty World consists of Jazz and Pop tunes and features guest appearances by celebrated musicians Gordon Goodwin & the Big Phat Band, Greg Phillinganes, Kirk Whalum Take 6, and Sheléa’s mentor, Stevie Wonder. “I’m hopeful a tour will be built around the album, because it is really made for live performance, much more than for radio,” she says of her new release. It was Narada Michael Walden who suggested to the couple Sheléa record an album of their songs. They agreed and handpicked thirteen. With the performance of the Bergman’s songbook, Sheléa is walking the path of music royalty and leaning into the music legacy of Ella Fitzgerald. In 1958 Fitzgerald was the first African-American woman to win not one, but two Grammy Awards: one for Ella Fitzgerald Sings the Duke Ellington Song Book, and one for Ella Fitzgerald Sings the Irving Berlin Song Book. Hopefully, this is a sign for Sheléa. If you haven’t seen Quincy Jones Presents: Sheléa make time. The performance, which enjoyed 60,000 viewers the first night it aired in Los Angeles, is airing in 70% of country. Check your local PBS station for dates and times. If you can’t wait, check out this mini concert.